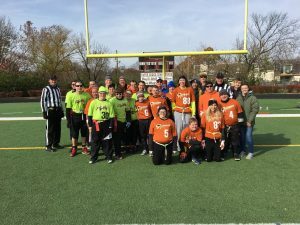 Each year, CKFOA officials give back to community by supporting the Special Olympics Flag Football Tournament. Last year, the state tournament was hosted at Tates Creek HS on Saturday, Nov. 11th. Thirty CKFOA officials supported the athletes by officiating their games. A great time was had by all.